Two years ago, a great team out of Tulsa, Oklahoma joined our family of clients, Sky Fitness & Wellbeing. From our very first call with owners Jay Wagnon and Travis Wood, we knew we were in for treat! These guys truly "get" the fitness business. Each interaction is a pleasure and we look forward to continuing to support their business as it grows. 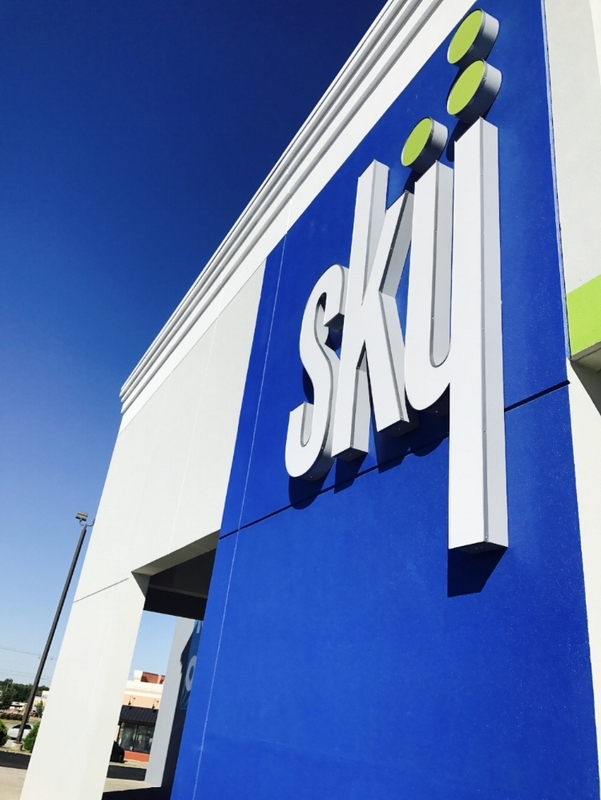 Sky Fitness & Wellbeing operates two high-end facilities in Tulsa, OK and recently opened a third location in Broken Arrow. OUR MISSION: IT STEERS OUR ENERGY. At every interaction, on every day, we go out of our way to provide an exceptional experience for every member. Our mission, vision, and beliefs all share a common focus: to “Wow” our members. We want to surprise, thrill and inspire our members with truly exceptional service and we understand that an exceptional experience is not a goal, it’s an ongoing process. We sat down with Travis Wood, Vice President of Operations, to learn more. GHQ: How did you get started in the fitness industry? TW: I started in the fitness industry almost 20 years ago in Fayetteville, AR. I started as an “opener” at the front desk and worked my way up through a myriad of positions including Member Service Manager, Program Director, and Asst General Manager. I took over as a General Manager at a facility in Ohio and moved on to Sky in Tulsa to become the Vice President of Operations in 2009. GHQ: What are some of the biggest changes you’ve seen occur in the industry over the years? TW: Obviously, the popularity of different modalities change almost yearly but, the number one thing that I’ve seen change in my career is the sheer amount of knowledge and education that the member is now coming into our facility with. They are performing exercises that would have been advanced for Private Trainers just a few years ago. GHQ: Where did the Sky Fitness brand come from? TW: As odd as it may sound, Sky was conceived from a combination of standards and frustration. 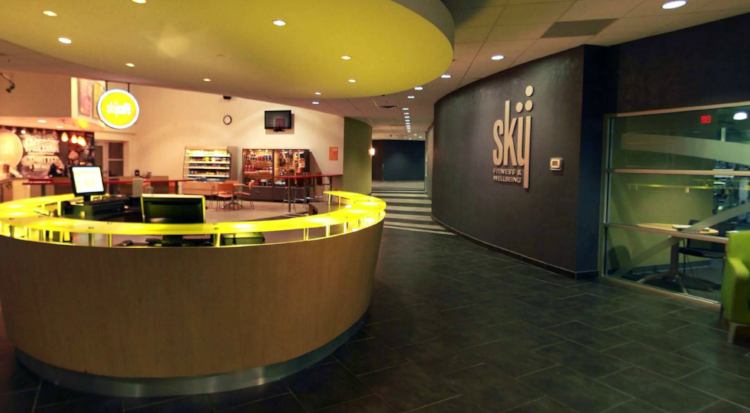 One of the owners, Jay Wagnon, was working with a franchise and becoming increasingly dissatisfied with the lack of emphasis being put on the member “experience.” After a few months into the building process, Jay broke from the franchise and instead created a new brand – Sky Fitness & Wellbeing. GHQ: And what does the Sky brand stand for? TW: While I’m sure that every gym in the industry would like to think their employees make the difference because of their personalities, Sky focuses on being a piece of a bigger puzzle. We focus on creating what we call an “Exceptional Member Experience.” This is more of a holistic approach that goes beyond just a friendly smile. It includes education, the fitness offerings, nutrition, and stress management (Sky’s circle of success) in a setting that is clean and welcoming. GHQ: What do you currently have in the pipeline for growth and expansion? TW: We recently opened our third location in the Tulsa area and have plans to grow more in the near future. We’ve made the commitment that Sky will grow with an importance on quality, not quantity. We try to take a little extra time to make sure each location is not only profitable but set in the standards that helped create Sky. With the competitive landscape becoming more and more crowded, our focus is even more important. GHQ: What have been the most challenging aspects of the business? TW: The most challenging has been, is, and probably will continue to be the communication and execution of the brand ideals. It’s easy for us to spout what we’re about, but it’s becoming increasingly difficult to educate the public in this climate of “information overload”. Price and location are no longer the first two criteria from a prospective member, it’s now reputation and presentation. Of course, it’s also critical to never take your current membership for granted. Loyalty to a business is a fading ideal and we are constantly having to challenge ourselves to not accept the status quo and try to reinvent our offerings. GHQ: How important are back-office functions for the business and why did you decide to partner with GYM HQ? TW: Anyone that is in our industry that does not understand the importance of ‘back-office functions’ is basically on a list set for extinction. From HR to A/P to Payroll, today’s workforce will not tolerate anything less than uber-professionalism. This is exactly why we decided to partner withGYM HQ. The idea of keeping up with the ever-changing laws was daunting enough that we knew we needed an outside vendor that specialized in it. We looked at it like this; Our members expect a level of professionalism, knowledge, and expertise that they couldn’t obtain on their own so why would we differ in regards to our back office needs? GHQ: What gems of advice would you like to share with others looking to own their own fitness business? TW: Gems, huh? We’re still trying to figure it out as we go, but if I were asked what I’ve learned? 1. This is not a hobby or “passion project”, it’s a business. If you treat it any other way, you will get eaten alive. 2. The minute you stop advancing, you will be passed by someone who is. New classes, new equipment, and reinvention of your offerings are a day-to-day operation. 3. Many years ago when I was a novice to this business, I was lucky enough to have some important “nuggets” passed on to me by a trusted friend. None of these stuck with me more than the following: “Don’t f#@% with the money.” Trust is such a vital part of the relationship now, as soon as you create a crack it will explode into a rift. Be upfront with the dues, have open access to the billing history, and teach everyone on your team not to be scared about a member’s money. Money is not a “dirty little secret”, it’s the absolute core of any business and avoiding it or treating it like it’s not important is a recipe for disaster. Learn more about Sky Fitness & Wellbeing by visiting their website. 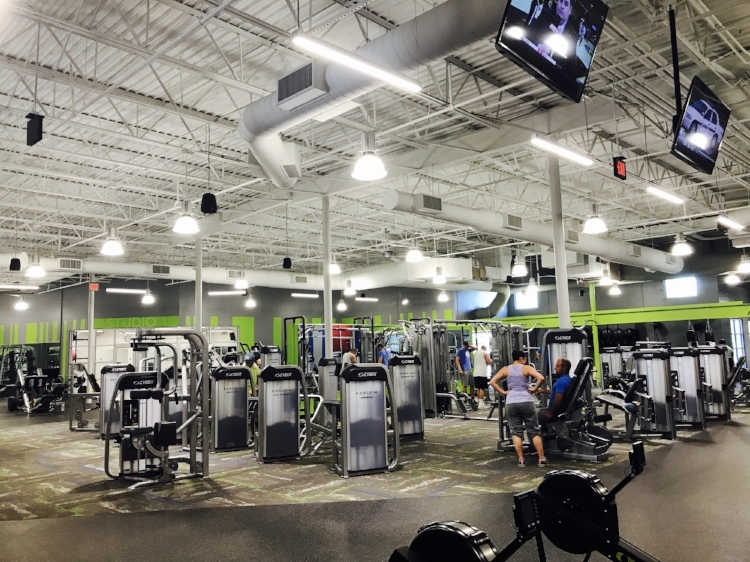 Learn more about GYM HQ and the solutions we can provide for your business by requesting a discovery call info@gymhq.club.